The Newport Central Catholic Thoroughbreds boys basketball team needed to beat the tournament hosts to achieve a major accomplishment this season. The Thoroughbreds came through with a convincing 80-61 victory over the Ashland Blazer Tomcats (9-3) Saturday to win the 58th Annual Ashland Invitational Tournament at James A. Anderson Gym. NewCath stayed unbeaten at 11-0 as a result. The Thoroughbred guards did most of the damage in this game. Tournament Most Valuable Player Michael Bueter and Zack Pangallo burned the Tomcat full-court press consistently to tally 19 and 17 points on the evening. The NewCath posts also came up big. Sophomore Drew McDonald finished with 19 points and five rebounds. Jake Schulte and Nick Seibert followed with 11 and 10 points respectively. Pangallo keyed a crucial 12-0 run in the second quarter to help NewCath turn a five-point deficit into a seven-point advantage. The Thoroughbreds forced 15 Tomcats in the first half and led 39-32 at halftime. NewCath pulled away in the third quarter. The Thoroughbreds led 61-43 entering the fourth quarter. Ashland’s three-point shooting kept the game within striking distance. The Tomcats made 10-of-18 three-pointers for 55 percent. Nick Miller finished with a team-high 15 points for Ashland. The Thoroughbreds saw four players make the All-Tournament Team. McDonald, Pangallo and Jake Schulte joined Bueter on the squad. NewCath does not play again until Wednesday at 7:30 p.m. when the in-town rival Newport Wildcats (8-3) come up the hill. The Thoroughbreds (9-3) finished fifth in the Second Annual State Farm Classic with a win Saturday over the Lady Warriors (8-6). Junior Nikki Kiernan once again controlled the paint with her fourth double-double of the tournament of 28 points and 14 rebounds to go with eight blocked shots. Kiernan made 6-of-7 free throws and eclipsed the 1,000-point mark for her career. Kiernan had plenty of help. Teammates Michaela Ware and Alexus Mayes followed with 14 and 12 points respectively. Mayes made two three-pointers. Both teams made 14 free throws. But Southwestern shot a better percentage attempting 22 for 63 percent and NewCath attempted 26 for just 54 percent. Addison Corder kept Southwestern within striking range. She finished with 23 points. The Thoroughbreds do not play again until a matchup at 36th District arch-rival Highlands (10-4) on Friday at 7:30 p.m. The Highlands Bluebirds girls basketball team knew it had to slow down Pleasure Ridge Park guards Kelsey Adwell and Paige Murphy to win the Second Annual State Farm Holiday Classic on Saturday. The duo torched Newport Central Catholic for 39 points on Friday. The Lady Panthers had also beaten 9th Region rivals Conner and Ryle in recent weeks. But the Bluebirds (10-4) stood up to the challenge holding them to a combined 20 points in a 52-39 victory at Conner. Adwell had just two three-pointers on her way to 14 points and no other Lady Panthers (12-3) scored more than six points, including Murphy. Murphy made just two three-pointers for that total. Pleasure Ridge Park had won 8-of-9 contests entering the game. Newport Central Catholic employed a full-court press in the second half and that bothered Pleasure Ridge Park. Highlands employed the same man-to-man press strategy and recorded 16 steals led by their two freshmen guards. Haley Coffey recorded five steals and Brianna Adler had four. Coffey and Adler also helped the Bluebirds’ effort offensively. Coffey made all six free-throw attempts on her way to a team-high 12 points and Adler made two three-pointers on her way to nine points. Highlands again had many players contribute. But the senior Twin Towers especially helped out the cause offensively. The Bluebirds had an advantage in the paint and Jesse “Dirt” Daley cashed in with 10 points and seven rebounds. Fellow Twin Tower Leah Schaefer added nine points to go with nine rebounds and five assists. Highlands nabbed 33 rebounds overall. Highlands led 29-22 at halftime. Pleasure Ridge Park cut the margin to four with two quick scores in the third. But the Bluebirds made an 11-4 run on three steals, including two from Coffey, that resulted in scores. Highlands made 15-of-36 shots for 42 percent, including 2-of-9 from three-point range. The Bluebirds also hit 16-of-23 free throws for 70 percent. The Bluebirds take on Newport Central Catholic (9-3) at 7:30 p.m. Friday. The Bluebirds (5-6) salvaged a win in the Pikeville Invitational Tournament on Saturday over the Yellowjackets (8-5). Highlands put three players in double-figures. Luke Turner led the way with 22 with Nick True contributing 14 and Bailey Witte adding 13. The Bluebirds travel to Villa Madonna (5-6) on Thursday for a 7:30 p.m. contest. G. Michael Graham Photo. Highlands guard Ava Abner (22) drives to the hole against Southwestern's Allie Venable (2) in Friday's contest. Highlands won both games in the State Farm Holiday Classic to move to 9-4 on the season. The Bluebirds face Pleasure Ridge Park for the tournament championship at 4:15 p.m. today at Conner. HEBRON – The thought may be scary for opponents. The Highlands Bluebirds girls basketball team knocked off two more good opponents in the State Farm Holiday Classic on Friday to improve to 9-4. Highlands beat the Boone County Lady Rebels, 46-40 in overtime and 12th Region contender Southwestern Lady Warriors, 51-37. The Bluebirds will face 12-2 Pleasure Ridge Park for the classic championship at 4:15 p.m. this afternoon. Highlands had not beaten Boone County (7-5) since Jan. 13, 2009 by a 54-43 count in Florence. The Lady Rebels have won three of the last four 9th Region titles and have had the same head coach in Nell Fookes since the 1985-86 season. Highlands once again had balanced scoring. Vanessa Fisse led the way with 15 points and Brianna Adler had 12 making 10-of-12 free throws. Fisse made 3-of-6 three-point attempts. Highlands sees different players rise up in different games. Sophomore Alex Combs followed Adler and Fisse with eight points and four rebounds. The difference in the game came at the free-throw line. Highlands made 11-of-15 free throws for 73 percent and Boone County made 7-of-13 for 54 percent. Highlands also hit 15-of-47 shots for 31 percent and 5-of-15 three-pointers for 33 percent. Boone County made 13-of-50 shots for 26 percent including 7-of-23 three-point attempts for 30 percent. Highlands played a zone and held Lady Rebel standout guard Jessica Jones to six points. The Tennessee Tech signee did grab nine rebounds before fouling out. Dallis Knotts led Boone County with 13 points and Alexis Switzer followed with 11. Switzer added four rebounds. Highlands led 18-14 at halftime and 26-20 entering the fourth quarter. But Boone County won the fourth quarter, 18-12 to force overtime. Highlands won the rebounding battle, 39-36. Senior Jesse “Dirt” Daley led all rebounders with 10 for the Bluebirds. Highlands had been playing without injured seniors Leah Schaefer and Emilie Parton. Schaefer made her return Thursday and played in both games Friday. Parton did not play in either contest Friday. Schaefer scored just four points against Boone County but erupted for 14 against Southwestern as Highlands won all three Pool B contests. The Xavier signee made 6-of-7 free throws to go with three rebounds and a blocked shot. Fisse put together another stellar game with 12 points. She did not hit any three-pointers but did make all five two-point attempts. Daley added 10 points. Highlands once again saw many other player do small things to help record the victory. Lydia Graves made two crucial three-pointers and Adler had three steals with Abner and Fisse recording two each. Highlands led 24-19 at halftime and 38-30 entering the fourth quarter. That lead let the Bluebirds spread the court and attack the rim from different directions. Highlands hit 19-of-36 shots for 53 percent, including 3-of-9 from three-point range for 33 percent compared to 13-of-34 for 38 percent, including 6-of-22 from three-point range for Southwestern (8-5). The Bluebirds also made 10-of-12 free throws for 83 percent. Southwestern made 5-of-9 free throws for 56 percent. Adison Corder and Samantha Fitzgerald kept the Lady Warriors in striking range. Corder made 5-of-9 three-point attempts on her way to 19 points. Fitzgerald added 12. The undefeated Newport Central Catholic Thoroughbreds basketball team (10-0) downed the Russell Red Devils (9-4), 67-61 in the Ashland Invitational Tournament semifinals on Friday. NewCath has taken down two 16th Region contenders in this tournament. The Thoroughbreds will need to take down a third to win it. The Thoroughbreds face host Ashland Blazer (9-2) at 7:30 p.m. this evening for the tournament championship. Thoroughbreds head coach Grant Brannen has plenty of memories in this tournament as a player and assistant. Brannan played in this tournament in 1997 when NewCath fell in the first round to eventual state champion Scott County. Then in 2003 as an assistant, NewCath beat Pendleton County for the tournament championship. The Thoroughbreds held a 10-point lead in the fourth quarter, but could not put away Russell. The Red Devils trimmed the margin to 64-61 with 1:40 to play. The Thoroughbreds ran down the clock before senior captain Michael Bueter hit a lay-up with 35 seconds left. NewCath shot better than 50 percent from the field for the second straight day. Bueter made 3-of-4 three-pointers on his way to 21 points. Bueter has 50 points in the tournament after scoring 29 against Boyd County. NewCath also took advantage of its size inside as 6-foot-8-inch center Jake Schulte had 16 points and nine rebounds including some alley-oop dunks. Fellow 6-6 sophomore Drew McDonald added 15 points. Brannen also credited point guard Zach Pangallo for dishing out 11 assists to go with five points and a few steals. The Red Devils also saw three players reach double-figures. Jacob Porter led the way with 17 points. Kyle Skaggs added 16 with Lance Evans grabbing a double-double of 13 points and 10 rebounds. The Bluebirds (4-6) dropped their third in a row with another loss in the Pikeville Invitational Tournament on Friday to the Black Bears (12-1). Highlands got behind by 15 but fought back in this contest. Luke Turner led the Bluebirds with 18 points. Highlands faces Middlesboro (8-4) at 3 p.m. today. The Thoroughbreds (8-3) split games Friday in the State Farm Holiday Classic at Conner. They defeated the Lewis County Lady Lions (5-7), 71-29 in the morning game. Junior standout Nikki Kiernan notched another double-double with 22 points, 12 rebounds and five blocked shots. Kiernan had plenty of help in this contest. Alexus Mayes made two three-pointers on her way to 16 points and Imani Lankheit had 10. Ansley Davenport and Loren Zimmerman added one three-pointer each. The second game saw the Throughbreds fall behind by as many as 23 points before they rallied to cut the margin to seven twice in the fourth quarter. They eventually fell 65-56 to the Pleasure Ridge Park Lady Panthers (12-2) of Louisville. Panther guard Kelsey Adwell and Kiernan tied for game-high 24 points each. Lady Panther teammates Paige Murphy and Carenthia Brown added 15 and 10 points each. Adwell constantly penetrated to the basket and dished out five assists even though she seemed to constantly get away with walking and palming the basketball. NewCath made a major adjustment in the second half with a full-court trapping press. Twelve of PRP’s 22 turnovers resulted in NewCath steals. Kiernan, Michaela Ware and Zimmerman made three steals each for the Thoroughbreds. Kiernan added her third double-double of the tournament with 15 rebounds and three blocks. Mayes and Ware followed with nine points each. NewCath won the rebounding battle, 32-27 including 14-5 in offensive rebounds. But the Lady Panthers shot better making 21-of-47 shots for 45 percent and 19-of-23 free throws for 83 percent. The Thoroughbreds made 22-of-68 shots for 32 percent and 9-of-13 free throws for 69 percent. NewCath battles Southwestern (8-5) in the fifth-place game at 12:45 p.m. today. HEBRON – Both teams played tough defense in the key early-season 9th Region girls basketball contest. But the Conner Cougars (11-1) made more shots to hold off the Newport Central Catholic Thoroughbreds (7-2) by a 49-38 count Thursday. The game opened the State Farm Holiday Classic at Conner. Conner hit 17-of-65 shots for 26 percent including six three-pointers, and all nine free throws. NewCath made just two three-pointers going 12-of-61 percent for just under 20 percent. The Thoroughbreds also made just 12-of-18 free throws for 67 percent. The first and fourth quarters really hurt NewCath. The Thoroughbreds made just 1-of-15 shots for about seven percent and just three points in the first quarter. Then they made just 1-of-13 shots and just four points for eight percent in the fourth quarter. NewCath junior standout Nikki Kiernan turned in another monster game almost making a triple-double. She scored 10 points, nabbed 21 rebounds and rejected nine Cougar shots. But Conner sagged its defense in the paint to double and triple-team her because NewCath could not hit outside shots. Alexus Mayes followed Kiernan with nine points, including one three-pointer. Michaela Ware had the other three-pointer for the Throughbreds. Defensively, NewCath knew it had to contain Conner seniors Jordan Scott and Emily Pluto. Scott finished with 16 and Pluto had 10. Scott scored nine in the first half and added 21 rebounds for a double-double. Scott had a key offensive putback and ensuing free throw down the stretch. But Hunter Hendricks made two crucial three-pointers from the left corner in the fourth quarter on her way to nine points for Conner. Turnovers also did not help the Thoroughbred cause. NewCath made 20 to 11 for Conner. The Cougars recorded 11 steals led by Brooke Maines with four to five for NewCath. Ware led the Thoroughbreds with three. NewCath won the rebounding battle, 53-47. After Kiernan, Stephanie Lewis grabbed 10 for the Thoroughbreds with Pluto, Hendricks and Maines nabbing six each for the Cougars. Despite the score, NewCath found itself down just 40-38 with 1:43 left when Lewis made two free throws. But Scott put in an offensive rebound and ensuing free throw 10 seconds later and Conner made all six free throws after that to pull away. NewCath trailed 14-3 after the first quarter as Conner used a 12-0 run to go up 14-1 at one point. But the Thoroughbreds rallied with a 9-0 run in the second to trail just 24-20 at halftime. NewCath took its first lead with 1:55 left in the third when Mayes hit two free throws. The Thoroughbreds led 34-32 entering the fourth quarter. NewCath faces Lewis County (5-4) at Noon and Louisville Pleasure Ridge Park (10-2) at 7 p.m. tonight to finish pool play in the classic. The Highlands Ladybirds basketball team returned to the win column in a 61-44 victory over the Campbell County Lady Camels on Thursday to open the State Farm Holiday Classic at Conner. Highlands (7-4) saw eight different players score including three in double-figures. They were Vanessa Fisse with 17 followed by Jesse “Dirt” Daley with 12 and Alex Combs with 10. Fisse made 4-of-6 three-pointers and Daley tied teammate McKenzie Leigh with a team-high five rebounds. Overall, Highlands made 22-of-42 shots for 52 percent, including 5-of-17 from three-point range for 29 percent, and 12-of-18 free throws for 67 percent. Combs made the other triple for the Ladybirds. On the other side, Campbell County (4-7) made 13-of-45 shots for 29 percent, including 7-of-24 three-pointers for the same percentage, and 11-of-17 free throws for 65 percent. Taylor Robinson led the Lady Camels with nine. Campbell County played without senior 6-foot-3-inch center Kaytlin Siegmundt. Highlands saw injured seniors Leah Schaefer and Emilie Parton return to action. Schaefer scored four points to go with three rebounds, an assist and steal in her first game since Highlands beat Bishop Brossart, 55-51 on Dec. 6. Parton had two rebounds. Highlands plays twice today to continue the classic. The Ladybirds face defending 9th Region champion Boone County (6-4) at 9 a.m. before taking on Southwestern (7-4) at 4 p.m. The Bluebirds (4-5) opened the Pikeville Invitational Tournament with a loss Thursday. Luke Turner and Bailey Witte led Highlands with 10 points each. Highlands faces Harlan County (11-1) in the consolation bracket of the tournament today. The Thoroughbreds stayed unbeaten at 9-0 holding off the Lions to open the 58th Annual Ashland Invitational Tournament on Thursday. Michael Bueter turned in a huge night for NewCath with 29 points making clutch free throws down the stretch. He made 7-of-8 free throws and two triples for the Thoroughbreds. Two other NewCath players hit double-digits. They were Drew McDonald with 14 and Jake Schulte with 10. McDonald hit 7-of-11 shots and grabbed 11 rebounds for a double-double. NewCath made 53 percent (27-of-51) from the field and 65 percent (13-of-20) from the free-throw line. Boyd County (6-6) saw two players reach double-digits. They were Austin Hunt with 21 and Todd Stacy with 11. The Lions hit 34 percent (15-of-44) from the field and 69 percent (27-of-39) from the free-throw line. NewCath takes on Russell (9-3) in the semifinals today. The Lexington Dunbar basketball teams swept Highlands in holiday tournaments played Saturday. Early Saturday in Louisville, the Lady Bulldogs (6-3) downed the Ladybirds (6-4), 49-40 to conclude action in the Sam Swope Auto Group Queen of the Bluegrass Tournament at DuPont Manual. Highlands finished 1-2 in the tournament. The Ladybirds play again Thursday in the Cougar Classic at Conner. Highlands takes on Campbell County (2-6) at 3 p.m.
Later in the day, the Bulldogs (7-4) dominated the Bluebirds (4-4), 76-45. Highlands took sixth in the Woodford County Invitational finishing 1-2 in Versailles. Bailey Witte made the all-tournament team for Highlands. Highlands next plays in the Pikeville Invitational Tournament on Thursday. The Bluebirds face Betsy Lane (7-2) at 4:45 p.m. The opportunity came for Eddie Eviston and he simply could not pass it up. So after three impressive years as the head football coach of the Newport Central Catholic Thoroughbreds, Eviston is leaving his high school alma mater to coach at his college alma mater. The 33-year-old held a meeting with the players Friday and told them he’d accepted the position of offensive coordinator for the Georgetown College Tigers of the National Association of Intercollegiate Athletics’ Mid-South Conference. Eviston is taking over for former Boone County standout quarterback Craig Mullins. Mullins is taking over the same spot at Morehead State University after serving as Georgetown’s offensive coordinator the previous 16 years under current head coach Bill Cronin. Like NewCath, Georgetown also runs a spread offense with the quarterback mostly lining up under center. The former Georgetown and Thoroughbred quarterback still owns a number of Tiger records. That includes 9,282 passing yards, 12,703 total offensive yards, 83 passing touchdowns and 132 touchdowns responsible for. Eviston completed 559-of-927 passes and just 40 interceptions in his career. Eviston had been on the NewCath staff since 2006. The school promoted him to the tough role of filling in for the retiring legendary 44-year head coach Bob Schneider in 2010. But Eviston added to the tradition going 35-8 in those three years adding three more district championships, three more appearances in the regional finals and two state championships in 2010 and this year. The Thoroughbreds own an overall record of 447-334-10 in school history with five state championships, six runner-up finishes, 20 district championships and 12 regional championships. NewCath owns 13 straight winning seasons and 13 consecutive trips to the third round of the playoffs. The Thoroughbreds have posted double-digit victories in all but 2009 during that time. They’ve won a school-record 13 games in a season five times in that span including Eviston’s first year in 2010. Eviston graduated from NewCath in 1997. NewCath finished 34-16 in his four years of high schools winning an undefeated district championship his freshman year. The Thoroughbreds constantly battled Beechwood for district supremacy in those days and could not get past the Tigers in the playoffs in Eviston’s freshman and junior seasons. Eviston still ranks among the all-time passing leaders in school history. He completed 111-of-230 attempts for 1,574 yards and 17 touchdowns in his career. The players said they took the news with mixed emotions like Foster did. Graduating wide receiver Pete Collopy said they didn’t know what to expect at the meeting. The Thoroughbreds finished 13-2 in 2010 losing to just Ryle and Beechwood in double overtime in the regular season. They capped off the year with a 42-0 throttling of Owensboro Catholic in the state championship. Despite graduating Chris Kelly and Jake Cain among others, NewCath came into 2011 hoping for a repeat like the 2006 squad did. But eventual champion and district rival Covington Holy Cross shocked the Thoroughbreds, 24-21 in the regional title game . NewCath’s lone other loss in the 11-2 season came 29-20 to Beechwood to conclude the regular season. This past season did not start off well. The Thoroughbreds love playing bigger schools and they started the year 2-4 losing close games to Cincinnati McNicholas (27-24), Simon Kenton (28-20) and Covington Holmes (12-7). But that tough schedule paid off as NewCath rolled through district action by a combined 219-24. After beating Holy Cross to move to 5-4, Eviston and staff made a huge challenge to NewCath after a bad practice early the following week. The staff did not want the Thoroughbreds to settle for mediocrity after rolling through the district. NewCath responded with a 34-14 win over rival Beechwood for the first time since 2009. The Thoroughbreds then rolled to another regional championship smashing Gallatin County, Holy Cross and Walton-Verona by a combined 150-27. NewCath ventured to a hostile environment for the state semifinals and came away with a 27-18 victory over a hungry Somerset squad. NewCath then concluded the season with a thrilling 30-26 win over Caldwell County in the 2A title game at Western Kentucky University. Quarterback Josh Cain completed the game-winning 4-yard pass to Tyler Lyon with 26 second left to lift the Thoroughbreds to their fifth state championship. Georgetown finished 10-1 winning another MSC title last year. The Tigers finished the regular season undefeated but lost 45-44 to MSC rival Bethel University in the first round of the NAIA playoffs. NewCath will have some question marks for next season after graduating 15 seniors including Cain and leading rusher Dylan Hayes. Leading receiver Mac Franzen returns. The new head coach and staff will need to determine if Franzen will stay at wide receiver or move into the quarterback role. The Thoroughbreds do return a number of key players from the state championship team. Aside from Franzen, junior linebacker Jack Sutkamp returns after leading the team in tackles. Freshman Jacob Smith is the leading candidate to step into the top running back role. Detzel said he and Foster will have lunch next week to talk about the hiring process, but nothing will be done about the hiring process until Jan. 7 when NewCath returns from holiday break. Detzel also said plans have been made for current assistant coaches to oversee offseason weight lifting and conditioning programs that being that day. NewCath Defensive Coordinator Dan Wagner is a leading candidate to take over the job. He’s held that role since 2000. The Highlands Bluebirds basketball team knocked off the Frankfort Panthers, 59-52 in the Woodford County Invitational in Versailles on Friday. The Bluebirds moved back above .500 at 4-3 and the Panthers fell to 4-7. Bailey Witte and Nick True led Highlands with 14 points each. The duo also hit big free throws in the final 20 seconds to seal the win. The Bluebirds battle Lexington Paul Dunbar (6-4) at 4 p.m. today to conclude the tournament. The Ladybirds (6-3) bounced back from Thursday’s loss to defending state champion Louisville DuPont Manual with a win over the Lady Blazers (5-3). Posts McKenzie Leigh and Jesse “Dirt” Daley dominated the paint for Highlands. Leigh recorded 15 points making one three-pointer and recorded three steals. Daley had 10 points and senior teammate Vanessa Fisse had nine points. The Ladybirds recorded 15 steals to two for the Lady Blazers. Ava Abner spearheaded that attack with five thefts. University Heights had 20 turnovers to 10 for Highlands. Highlands put up 57 shots making 24 for 42 percent including 5-of-17 from three-point land for 29 percent and made 3-of-6 free throws for 50 percent. University Heights hit 15-of-34 shots for 44 percent including 4-of-9 for 44 percent from beyond the arc. The Lady Blazers also made 4-of-6 free throws for 67 percent. Highlands concluded the Sam Swope Auto Group Queen of the Bluegrass Tournament at Manual at 10:30 a.m. today against Lexington Paul Dunbar (5-3). The Thoroughbreds pulled away from the Indians in the second half to stay unbeaten at 8-0 and drop the Indians to 3-4. NewCath also improved to 6-0 in 9th Region action. Jake Schulte led the Thoroughbreds with 14 points. Defensively, NewCath held Indian standout center Antonio Campbell to just seven. NewCath next faces Boyd County (6-4) on Thursday at 4 p.m. in the Ashland Invitational Tournament at Ashland High. The Thoroughbreds moved to 7-1 overall and 4-1 in 9th Region action with a convincing road win over the Lady Juggernauts (1-9). Junior standout Nikki Kiernan led the way with 20 points for NewCath. She saw limited action in the second half as the Thoroughbreds led 55-31 entering the fourth quarter. Teammate Alexus Mayes followed with 14. NewCath next plays host 9-1 Conner in the Cougar Classic at 8:15 p.m. Thursday. A bad second quarter cost the Highlands Bluebirds in the first game of the Woodford County Invitational on Thursday in Versailles. Jeffersontown outscored Highlands, 27-6 in that quarter to go up 43-22 and go on to win 67-48. The Bluebirds fell to 3-3 with the loss and the Chargers moved to 4-4. Highlands saw 10 different players score. Drew Houliston led the Bluebirds with 16 points. The Bluebirds played without injured Luke Turner. The Chargers saw eight different players score. Two combined for 48 as Moe Hendricks scored 26 and Daniel William had 22. Highlands continues action in the Woodford County Tournament today and Saturday before going to the Pikeville Invitational Tournament next week. The host Lady Crimsons (6-1) snapped the four-game winning streak of the Ladybirds (5-3) with a convincing win Thursday in the Sam Swope Auto Group Queen of the Bluegrass Tournament. Manual won the state championship last year. The only loss for the Lady Crimsons came to Murfreesboro (TN) Blackman, 51-48 on Dec. 8. Highlands will try to bounce back against University Heights (5-2) at 11 a.m. today back at Manual. The Newport Central Catholic Thoroughbreds dominated the visiting Lloyd Memorial Juggernauts, 58-28 on Tuesday to stay unbeaten at 7-0. NewCath improved to 5-0 against 9th Region competition. The Juggernauts fell to 2-5, including 1-4 in region play. Guard Michael Bueter led the Thoroughbreds with 23 points and Jake Schulte added 15. Nine different NewCath players scored. Bueter scored most of his points in the second quarter. He connected on four three-pointers en route to 19 points in the frame. NewCath turned a 10-7 lead after the first quarter into a 30-10 halftime advantage. Schulte took over in the low post in the third quarter. He scored 11 in that quarter as the Thoroughbreds led comfortably 47-18 entering the fourth quarter. NewCath plays host to rival Covington Holy Cross (3-3) at 7:30 p.m. Friday. The Newport Central Catholic Thoroughbreds girls basketball team bounced back from its first loss of the year with a 65-55 victory over the rival Bishop Brossart Lady Mustangs on Monday. The host Thoroughbreds (6-1) moved to 4-0 at home. The Lady Mustangs fell to 7-2. Their only other loss came to Highlands. NewCath received a monster game from junior post Nikki Kiernan. She dominated the paint recording a triple-double with 19 points, 12 rebounds and 12 blocks. Kiernan made all five free-throw attempts. The Thoroughbreds also saw Alexus Mayes tie Kiernan with 19 points. Teammate Michaela Ware added eight. Junior guard Madison Eisenman came off the bench to score 20 points to lead the Lady Mustangs. NewCath held Bishop Brossart standouts Sarah Futscher to six points and Abby Stadtmiller to seven. The Lady Mustangs did shoot better from the free-throw line. They made 14-of-20 for 70 percent and the Thoroughbreds made 25-of-40 for 63 percent. The game was tied at 13 after the first quarter. But NewCath led 30-27 at halftime. The Highlands Ladybirds basketball team won its fourth straight Saturday with a 51-37 home victory over the Cooper Lady Jaguars. Highlands moved to 5-2 and Cooper fell to 6-3. The Lady Jags had won two in a row entering the contest. Highlands moved to 5-0 at home and 3-0 against 9th Region opponents. Freshman guard Hayley Coffey led the Ladybirds with 16 points. But Highlands again had contributions from many players as nine different players scored. Vanessa Fisse made two three-pointers on her way to eight points and Alex Combs made the other on her way to seven points. The Ladybirds made 18-of-46 shots for 39 percent and 12-of-19 free throws for 63 percent. Highlands played without injured seniors Leah Schaefer and Emilie Parton. Schaefer, a Xavier University signee, sprained her right ankle in the win over Bishop Brossart. But she is back walking and is expected to return for the Christmas tournaments. On the other side, the Lady Jaguars made 13-of-42 shots for 30 percent and 9-of-14 free throws for 64 percent. Paige Ross led Cooper with 10 points. Highlands continues action Thursday in the Sam Swope Queen of the Bluegrass Holiday Classic at 8:15 p.m. at defending state champion Louisville DuPont Manual (4-1). The Ladybirds face either Frankfort (4-1) or the hosts who play Wednesday. The Bluebirds earned their first road win of the season Saturday in Brooksville. Junior Drew Houliston again led Highlands with 17 points. Teammates Bailey Witte and Nick True contributed 14 and 10 respectively. The Bluebirds moved to 3-2 on the young season while the Polar Bears fell to 2-3. Highlands moved to 1-2 on the road and snapped a two-game losing streak with the victory. The Bluebirds do not play again until Thursday. They take on the Jeffersontown Chargers (2-4) at 9 p.m. in the Woodford County Invitational in Versailles. The Thoroughbreds stayed undefeated at 6-0 with a thrashing of the visiting Centurions (6-2). Drew McDonald led NewCath with 18 points and Jake Schulte had 10. McDonald has scored 40 points in two games and Schulte has scored 24. NewCath plays host to Lloyd Memorial (2-4) on Tuesday at 7:30 p.m. 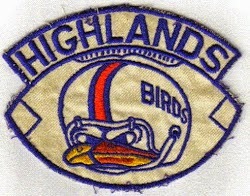 The Highlands Bluebirds basketball team fell to 2-2 with a 68-38 loss at undefeated Bishop Brossart (6-0) on Friday. The Bluebirds fell behind 34-17 at halftime and never recovered. They are 0-2 away from Fort Thomas on the young season. Highlands saw eight different players score. But none hit double-digits as Drew Houliston led the way with nine points and Jake Gronotte scored eight. The Mustangs saw 10 player score. Justin Saunders led Bishop Brossart with 20 and Alex Trentman added 16. Bishop Brossart hit five three-pointers and Highlands made two. Spencer Hackworth made two for the Mustangs with Trentman, Saunders and Austin Shannon all making one. Houliston and Luke Turner made one three-pointer a piece for the Bluebirds. The Bluebirds head to Bracken County for a 3 p.m. contest today. The Thoroughbreds (5-0) stayed undefeated with a dominating win just across the Ohio River in Cincinnati on Friday. NewCath pulled away in the second half. The Thoroughbreds outscored the Trojans, 49-22 during that time frame. Sophomore Drew McDonald scored 22 points to lead the way for the Thoroughbreds. Teammates Jake Schulte and Michael Buetter followed with 14 and 13 points respectively. Senior Austin Rieck scored a game-high 24 points for Glen Este. But no other teammate hit double-digits for the Trojans. NewCath plays host to Louisville Christian Academy (6-1) at 4:30 p.m. today. In a battle of two teams with the last four 9th Region championships, the Lady Rebels pulled away in the second half for the win. NewCath junior forward Nikki Kiernan led the way with 21 points. She had 16 at halftime including the first eight of the game. But Boone County took her out in the second half with a box-and-chase defense led by Alexis Switzer and Tennessee Tech recruit Jessica Jones. Jones and Switzer also ended up leading the Lady Rebels with 13 and 11 points respectively. NewCath had been hitting shots from the outside. But that did not happen Friday. The Lady Breds made just 15-of-60 for 25 percent overall and just 3-for-23 for 13 percent from three-point range. Kiernan made two three-pointers and Alexus Mayes had the other on her way to 13 points. But NewCath scored just three points by Stephanie Lewis outside Kiernan and Mayes. On the other side, Boone County saw six players score. NewCath returns home Wednesday at 7:30 p.m. to face 6-1 Bishop Brossart. The Lady Mustangs’ lone loss came to Highlands.